Get the best gluten-free experience from your Disney vacation. For family vacations, it can be difficult to top a trip to Walt Disney World in Orlando, Fl., or to Disneyland California in Anaheim. But you may not know that Disney caters to guests with special diets, and offers a gluten-free dining experience that's almost completely stress-free. Really. If you're expecting typical theme park fare of pizza and French fries, you'll certainly find it — but you'll find gluten-free versions of those foods right at the same quick-serve restaurants, complete with gluten-free buns for your hamburgers and french fries cooked in dedicated fryers. You also can find upscale dining featuring a variety of different cuisines — think Asian, Middle Eastern, Polynesian and African along with Italian, Japanese and French — plus family-oriented buffets where you'll be greeted by Winnie the Pooh or Mickey Mouse himself. At each restaurant, a chef or manager will make certain your meal is free of gluten and of any other allergens you specify. Still, successful gluten-free Disney dining takes some advance preparation. Here's my list of tips to make your trip more enjoyable. Deciding where you'll eat on vacation months ahead of time may kill the spontaneity, but having celiac disease or non-celiac gluten sensitivity and worrying about eating gluten-free tend to do that anyway. To get the most out of your gluten-free Disney vacation, study the restaurant choices and make your reservations for table service restaurants two to three months before your trip — longer if you're going at peak times, such as over spring break or in early July. You really do need to plan that far ahead, especially in the busiest times of year — the best restaurants and the most popular character dining experiences, such as Be Our Guest in Disney World's Magic Kingdom, fill up very quickly. Almost every table service restaurant has several gluten-free choices, and the chefs in the most upscale restaurants will make almost anything on the menu gluten-free. 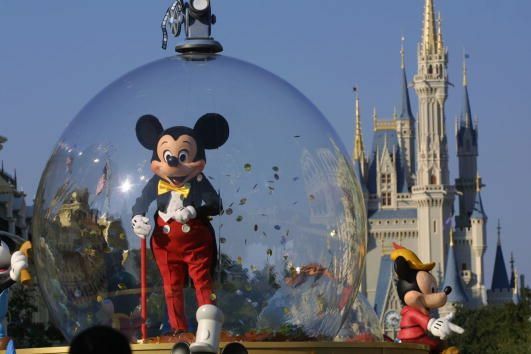 You can make reservations for Disney World online or by phone at (407) 939-3463. For Disneyland, call (714) 781-3463. If you make reservations by phone, be sure to tell the cast member that you need gluten-free food, and mention any other allergies or intolerances you have. The website form for Disney World provides a check-off box to note your gluten-free and other requirements. Anyone with a special request (such as a gluten-free birthday cake) or with multiple allergies should contact Disney's Special Dietary Requests staff at Special.Diets@Disneyworld.com after they've made all their dining reservations, but more than 14 days prior to their first reservation. Note that you don't have to do this just to get gluten-free food, or even to get gluten-free food that's also free of another allergen, such as dairy or soy. When you arrive at a Disney table service restaurant, the person seating you should make note of your gluten sensitivity on your reservation card (if not, be sure to tell your server you have a food intolerance). Many Disney restaurants now have allergy menus, and you can order from these safely as long as you don't request any substitutions. However, if you want something that's not on the allergy menu or if you want a substitution, you always can speak with the chef — just ask your server. In addition, if you have any concerns about the food or the menu, I recommend speaking with the chef. Disney chefs understand gluten and where it can hide, so you can trust a chef if he or she says something is safe. Also, don't be afraid to ask the chef for items not on the menu — the chefs are happy to substitute items and even to create entirely new dishes. If you're eating at a buffet, the chef will take you through the line to point out what you can and can't eat. If eating directly from the buffet makes you nervous (it does me), the chef will bring you whatever you want straight from the kitchen, avoiding potential gluten cross-contamination from other guests. For gluten-free kids, you almost always can get a hamburger or a hot dog with a gluten-free bun, plus ice cream or a gluten-free brownie for dessert. Many restaurants also offer pizza, and in Storytellers Café in the Grand Californian Hotel in Disneyland, you can make your own pizza with a gluten-free crust. Most large counter service locations at Disney have several gluten-free options. However, before you arrive at the parks, you can contact Disney's guest relations department for a list of gluten-free foods available. If you're traveling to Walt Disney World, call (407) 824-5967 or email specialdiets@disneyworld.com. For Disneyland, call the reservations number, (714) 781-3463. You also can pick up lists at the guest relations offices located just inside every park. When first arriving at a counter service location, you should ask the cashier for the allergy menu. If your order is complicated or if you have any questions, you should ask to speak to a manager, who will handle your order directly. You might want to plan your meals for off times, and remember the process can take longer than getting "regular" food. Most parks have numerous options for counter service meals and snacks, although you'll have the best luck at larger locations. I've found that the hamburgers and hot dogs are gluten-free (but be sure to double-check), and most locations stock gluten-free buns for those. The ice cream carts almost always have a gluten-free selection, as well (Dole Whip, a favorite frozen treat in several parks, is gluten-free). The counter service locations usually have a dedicated fryer for their French fries and may be able to substitute or remove some ingredients (for example, make a salad without croutons or Chinese noodles). Also, most stock pre-packaged gluten-free brownies and cookies. Gluten-free dining at Disney does take some advance planning, just as it does everywhere. But the parks and resorts offer more choices for gluten-free foods and treats than you're likely to find in many other places — which can make for a great gluten-free vacation.